Its been a while since I did a “Must Have Monday” post so I thought I’d kick off my blogging week with one. This week my Must Have Monday post is all about the new year and something that all of us need and should have. I’m pretty sure majority of you dudes and dudettes are back at work, university/college starts soon for first years, school kids start this week and… You catch my drift… And I’m sure everybody needs a new diary or notebook right? Right! If you like me, that loves writing or even need one for work/university/school/business ,then shopping for a new diary is like being a kid in a candy store not knowing where to start first. There’s quite a huge variety of 2013 diaries on shelves now or if you’re planning on using yours for more than a year, then opt for a notebook. I’ve put together my fave diaries and notebooks that I spotted in stores and online with a mixture of bargain buys and ones that’s a bit of splurge. I’m personally not someone that’s keen on spending lots of money(over R200) on a diary or a notebook so I always go for more of an affordable one. I’ve got 3 at the moment. One from Typo, One from Kimmidoll (Exclusive Books) and a Fashionista one that my sister bought me for university this year. You’re probably thinking… Why 3? well, the Typo one is for my handbag, the Kimmidoll one is for notes/blogging and the Fashionista one for university. So that’s my top diaries and notebooks for 2013. For all those starting university, going back to work and school, starting a new job, venturing out on their own, all my best wishes to you for the new year. 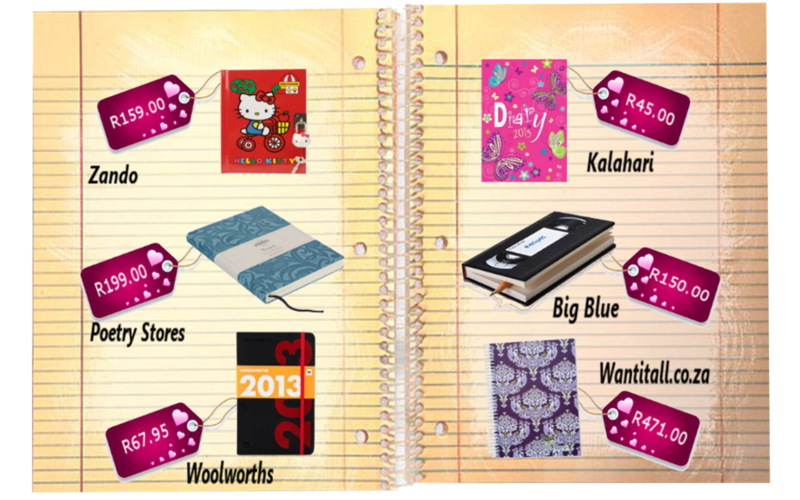 Tags: 36 Boutiques, Bargain, Big Blue, Diaries, Diary, Exclusive Books, Fashionista, Handbag, Kalahari, Kimmidoll, Must Have, Online Shopping, Poetry Stores, Shopping, Splurge, Typo, University, wantitall.co.za, Woolworths. Bookmark the permalink. 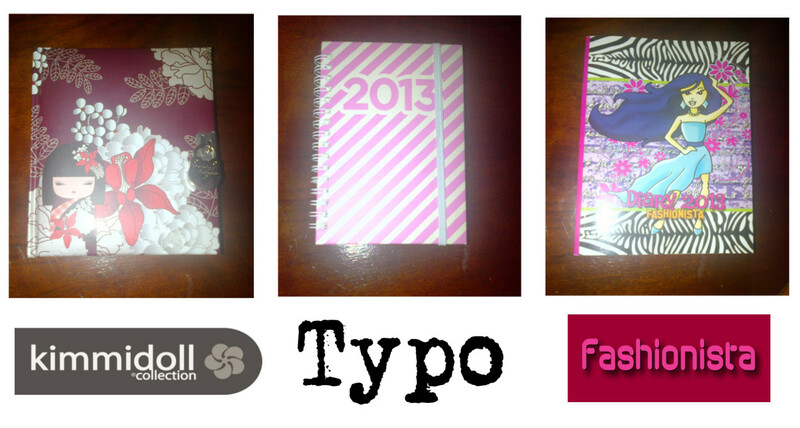 I have a Typo diary that I love!